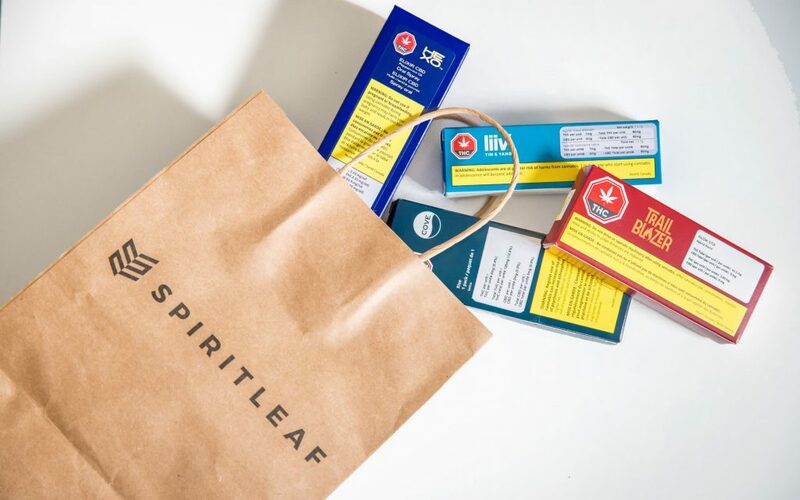 Like its sibling Spiritleaf stores out west, this location upholds the brand’s signature aesthetic while also celebrating the community it inhabits. Unique to this location: find tributes to The Tragically Hip peppering the space. 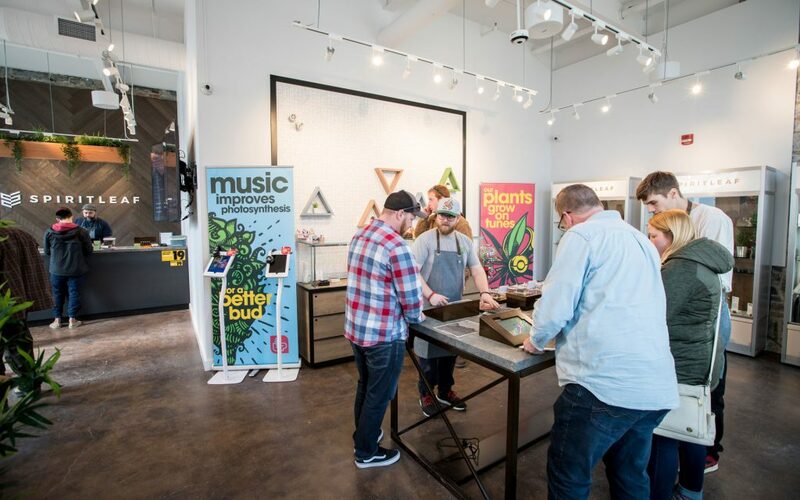 Products from UP Cannabis, the cannabis brand partially owned by The Hip, are displayed prominently throughout the store and an in-store activation explains how this brand of buds are serenaded with music while they grow. 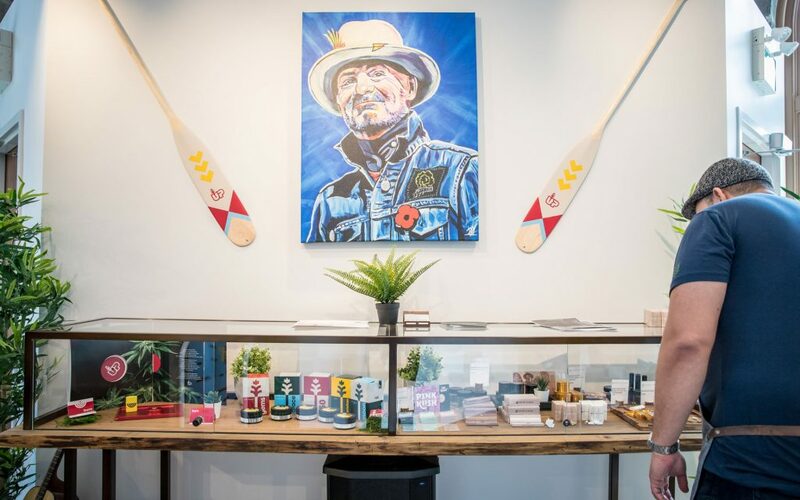 An approving portrait of beloved Kingston-native and The Hip frontman, Gord Downie looks over this bud boutique. Just the presence of the late singer radiates warmth. 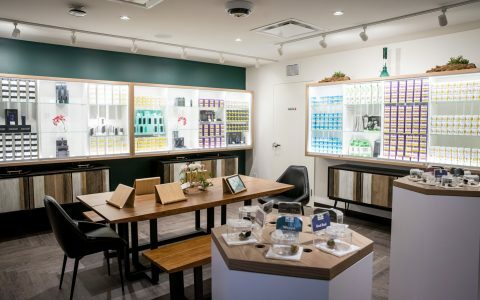 The store exudes a contemporary Canadiana vibe. 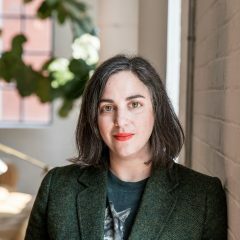 The interior features natural finishes like raw brick and timber punctuated by pops of greenery. Crisp white walls and sunlight diffused through frosted windows gives the L-shaped space a bright and uplifting quality. 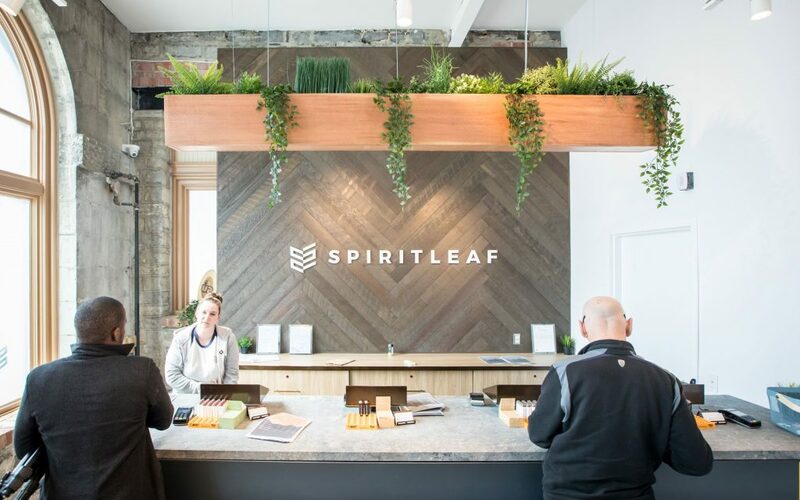 Approachable customer service representatives sport denim aprons and are on call to navigate customers through the ins and outs of purchasing and consuming cannabis. 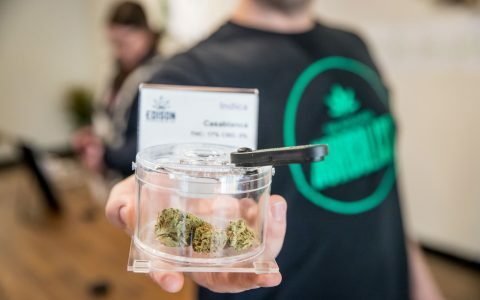 Consumers that don’t want—or need—staff assistance can order off of menus displayed on screens by the cashier or opt to review the menu on printouts or iPads. 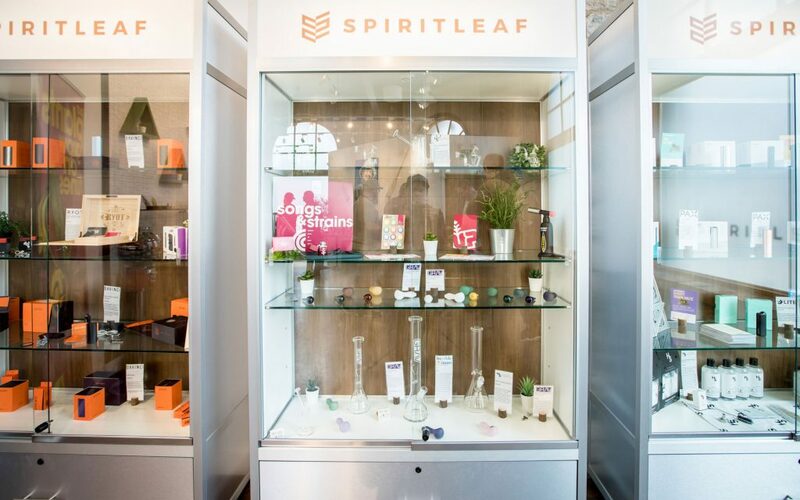 Glass display cases house ancillary items and accessories, while samples of bud are exhibited in plastic containers that allow patrons to sniff and inspect. 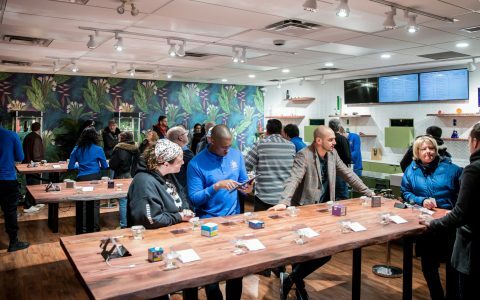 Aside from UP Cannabis products, expect to find the usual cast of characters. 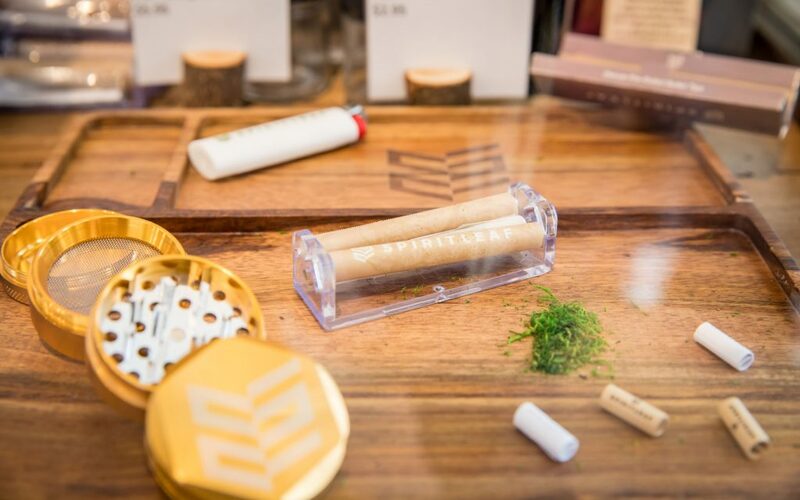 Strains from Good Supply, Tweed, San Rafael, and Hexo (to name just a few) are well represented in the selection of dried flower, pre-prerolls, and oils on offer. 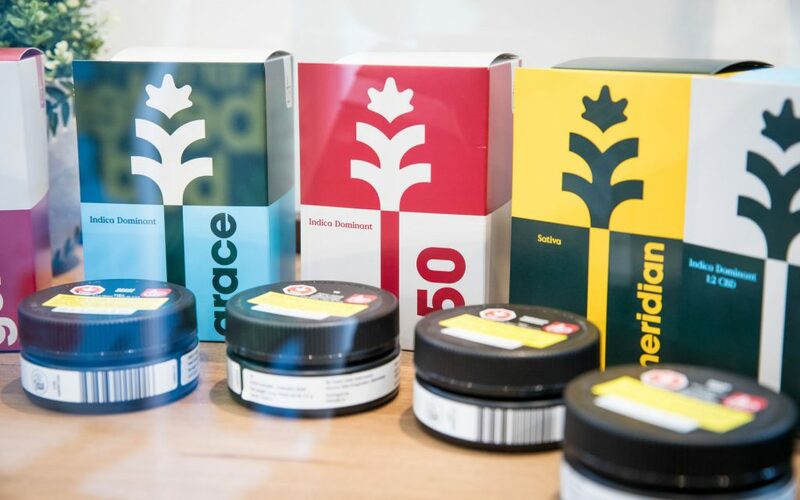 Prices, as expected, are in-line with the Ontario Cannabis Store, but the selection of strains is broad enough that you’ll find at least a dozen options (when in stock) priced at $10/g or less. Shoppers are required to present a valid ID to security at the door. 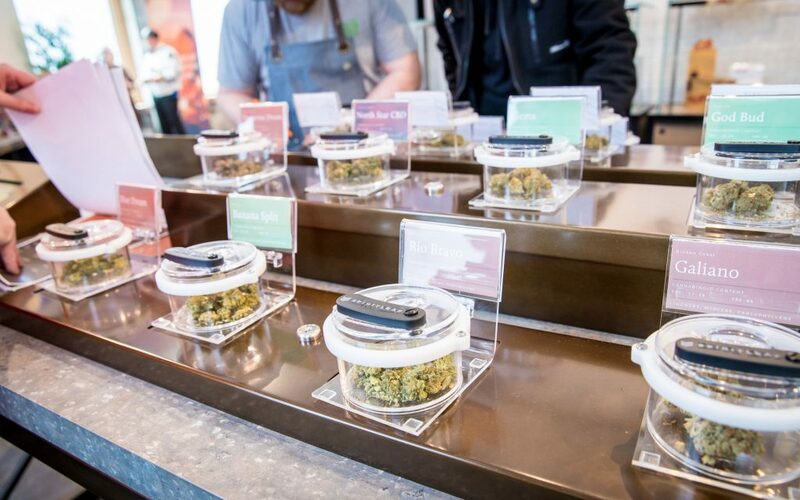 Once inside, you might find that it can get a little crowded around the table where buds are on display. Luckily you can also view their menu online.